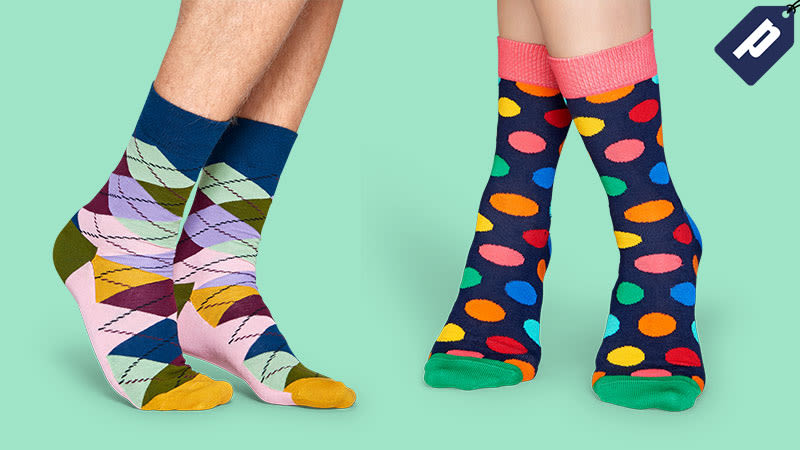 With limitless color combinations and the mindset that there’s a pair of socks for every occasion and style, Happy Socks brings these everyday essentials to the forefront. Get 30% off and free shipping with code SOCKS2017. Happy Socks are designed in Sweden and manufactured in Turkey with high quality combed cotton and a reinforced toe and heel, making them incredibly comfortable and long-lasting. Choose from typical styles like stripes, polka-dots, and argyle, to the more eccentric animal, paisley, feather, and stripe-dot socks. They even offer limited editions from collaborators like PewDiePie, Iris Apfel, or Billionaire Boys Club. Pairs start at $12, but with 30% off, you can grab them for just $8.40. Other items include boxers for just $14, men’s underwear for $8.40, and underwear and sock combo packs for $31.50. They even offer infant and kids socks. Grab some fresh, colorful pairs at 30% off plus free shipping with code SOCKS2017. Can’t be used in combination with other offers and not valid on Limited Edition items, Gift Cards, & Outlet.